best workers a company can have. 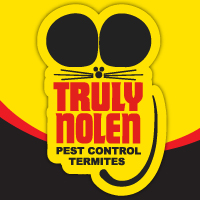 Successful removal of unwanted / dangerous pests brings great peace-of-mind and Truly Nolen is # 1 in this field! Very thorough treatment. Good service. I am in the middle of remodeling my kitchen. Truly Nolan was able to come out the same day that a trench was dug in the kitchen for a gas pipe. They did their termite treatment and the remodeling crew was able to continue. I appreciate the fast response! I have been using your service for two years and you have always provided stellar service. Even when I call for additional service you cheerfully provide it. I am up for renewal soon and look forward to another year with Truly Nolen. everything we need gets done and always in a courteous and professional manor! We are very happy to use truly nolen. Jason Halper helped us out to the point of having our garage insulated. We have seen a 25% drop on our electric bill is summer. The pest control part has been nothing but tops. We want to thank Jason and all of the crew for the great service they provide.